A sales tax and a car-tab hike approved by Seattle voters in 2014 are helping fund increased bus service on dozens of routes throughout the city. Increased service across King County will launch Saturday. King County Metro is adding hundreds of daily bus trips on dozens of routes across Seattle and the region in an effort to increase bus-service reliability and reduce wait times and crowding. The increased service includes more late-night service, between midnight and 5 a.m., on 13 routes serving Seattle, White Center, Burien, Tukwila and Seattle-Tacoma International Airport. Expanded service will start on Saturday. Funding comes from King County Metro’s two-year budget, which included $30 million for improved bus service. 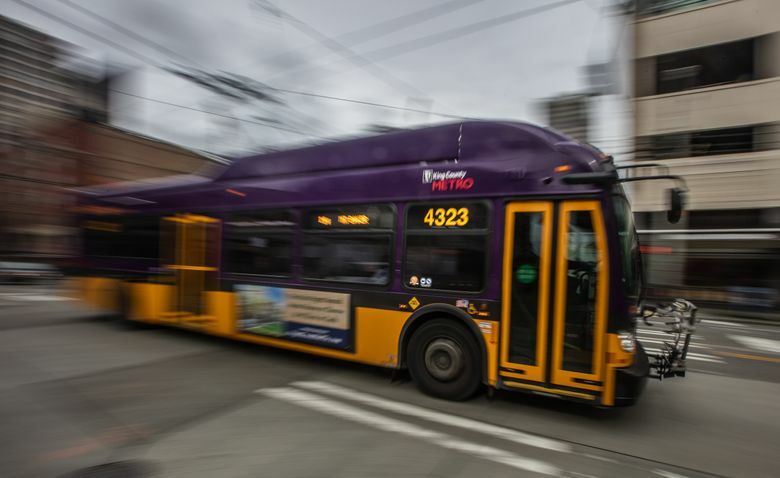 Within Seattle, funding also comes from the passage of Proposition 1 in 2014, when voters approved a sales-tax increase and a $60 car-tab fee to raise $36.5 million annually for more bus service hours. In total, Metro is adding 240 more bus trips each weekday, 100 more trips on Saturdays and 153 more trips on Sundays. This is the second of four planned bus-service increases this year and next year. On many routes, the increased service should mean shorter wait times. For instance, the Route 60 bus, running between Capitol Hill and White Center, will have 24 more weekday trips, meaning daytime buses should come every 15 minutes instead of every 30 minutes. Once the expanded service goes into effect, the Seattle Department of Transportation (SDOT) says that nearly two-thirds of Seattle households will be within a 10-minute walk of transit service that arrives at least every 10 minutes. SDOT said that 85 percent of all routes in Seattle will get improvements. Within Seattle, the largest investments will go to Route 50, which runs in South Seattle between Alki and Othello Station; Route 60; Route 65, which runs between Jackson Park and the University District; and Route 67, which runs between Northgate and Laurelhurst, through the University District. The Route 44, which runs between Ballard and the University District, will gain daytime buses to ensure arrivals every 10 minutes, and it will have service, although less frequently, throughout the night. Currently the route does not operate between 2 and 5 a.m.
Current late-night routes — the 82, 83 and 84 — will be replaced by expanded late-night service on Routes 3, 5, 11 and 70. Metro cited the following routes as ones that will see added trips: 3, 4, 5, 7, 8, 11, 14, 17, 28, 36, 40, 41, 44, 48, 49, 50, 60, 65, 67, 70, 120, 124, 131, 169, 180, 269, 301, 316 and RapidRides A, C, D and E.